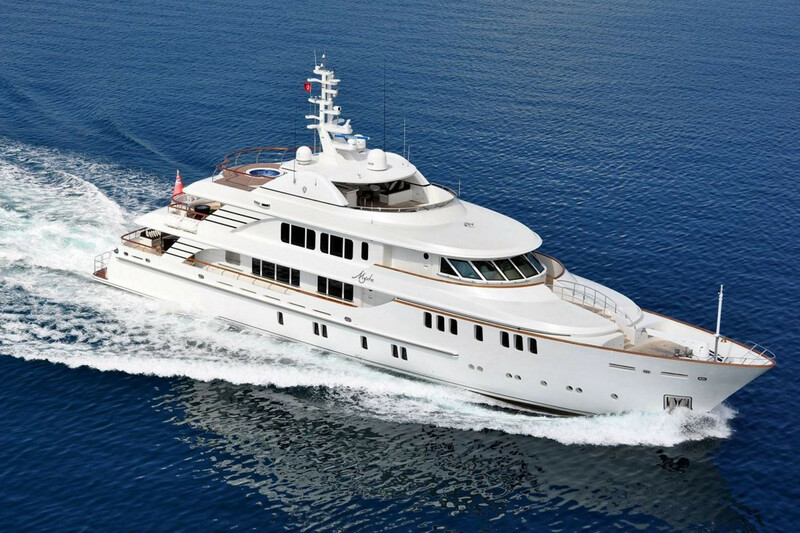 G-Yachts team is please to count M/Y MYSTIC among our fleet of yachts for sale. Mystic is a 46m motor yacht, custom built in 2010 by CMB Yachts in Antalya. This luxury vessel's sophisticated exterior design and engineering are the work of Diana Yacht Design. Mystic yacht has a GRP hull with a GRP superstructure with a beam of 9.00m (29'6"ft) and a 2.28m (7'5"ft) draft .This custom yacht is equipped with an ultra-modern stabilization system which reduces roll motion effect and results in a smoother more enjoyable cruising experience. She also features bow thrusters making her more manoeuvrable at low speeds. Mystic is built to comply to MCA and RINA Charter Class standards. Mystic has a cruising speed of 13.00 knots, max speed of 17.00 knots and a range of 4000.00 nm. from her 67,000.00l. fuel tanks. Mystic offers accommodation for up to 10 guests in five luxurious cabins. She is also capable of carrying up to 9 crew onboard to ensure a relaxed luxury yacht experience.